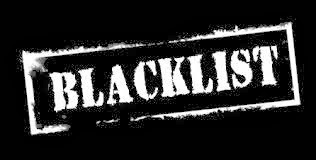 Originally there were 259 teachers blacklisted on the SAFEA web site and after three months of discussion, we managed to get all but nine of the teachers removed. Yes we agree, that last one is a bit vague and we were unable to get any clarification but we will keep trying. The big difference in 2014 is that if you get listed by SAFEA your visa will not be renewed when you go to apply - even from outside the country! Further a 1-3 year reentry ban may be placed on you at the discretion of the PSB. As you can see, they are getting fed up of flaky teachers who jump ship in the middle of a contract. So before you sign a contract, be damn sure you plan to finish it as you may get yourself politely booted out of the country. As onerous as this new policy appears, we can understand WHY they have resorted to these measures. So, don't say you were not warned. The big thing going on right now is "internships." This is great for the school! They no longer have to pay real teachers a salary, and the interns get paid maybe 2000 rmb a month. They teach using an "F" visa, which is a big no-no, yet they can get away with it. The interns work full time and I think it is about time to deem these slave shops illegal.